Eddy in partnership with Cartoon Network Enterprises (CNE) has today launched 'Creativity Tablet' for children, which comes pre-loaded with hundreds of activities, apps and videos designed for children. 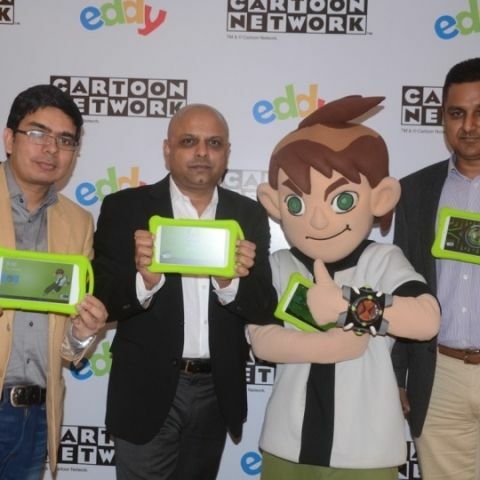 Eddy and CNE also announced the launch of Ben 10 tablets in India, designed to provide hours of learning and entertainment to kids. The tablets are powered by the Intel Atom Processor Z2520 and are pre-loaded with content from Cartoon Network and POGO. They also come pre-loaded with hundreds of books and learning games from leading international app developers. Both tablets are targeted at children aged 3 and above. The two tablets run on Android 4.2.2 with an overlay of Eddy’s proprietary Athena OS*, created specifically keeping a child’s learning needs in mind. The Ben 10 tablet and Creativity Tablet are priced at INR 9,999/- and INR 8,999/-, respectively, with limited period launch offers and discounts worth INR 4000/-. They will be exclusively available at http://www.amazon.in/ and http://www.eddytablet.com/.